Do you remember playing the game Battleship when you were younger? Searching for boats never loses its excitement: just ask David Hawley, modern-day treasure hunter. “I think you always add more to the history books when you find something like this and look at it first hand,” he says. As testing continues, we are still keeping our fingers crossed and hoping for the chance to see the Malta’s contents first hand. 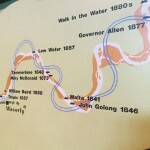 In the meantime, we have learned some more details about the Malta’s legacy and significance in the town of Malta Bend. According to the Marshall Democrat-News: it’s the talk of the town! 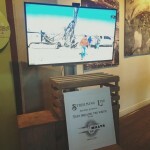 Their excellent story, hot off the press today, shares some new details. Take a look, and stay tuned for more updates soon. 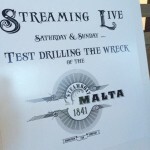 Exciting developments in the search for the Steamboat Malta: testing is continuing at the site…and museum visitors are now able to watch the process unfold live! We would like to extend a huge thank you to Christa Dubill and our friends at 41 Action News KSHB for sharing the story. Watch the video below to learn more about our progress so far in locating and testing this 1841 fur-trading boat. On weekends at the museum we will be broadcasting a live feed from the field as the team drills and marks. The goal at this stage is to precisely map the boat’s shape, size, and position. Hopefully, this will make it possible to excavate in the winter of 2016-2017 if all goes according to plan. Stay tuned here for updates. This new chapter would not be possible without the continued support of our fans and visitors through the years. Each time you visit the museum, your ticket and gift shop purchases help to fund the ongoing preservation of the Arabia’s artifacts, as well as the search for unknown treasures. Thank you for helping us to follow our dreams. If we are able to excavate the Malta, and if its contents are intact, it will greatly expand our understanding of frontier development. Fifteen years older than the Arabia, the Malta could help to complement the Arabia’s story and tell a tale all of its own. 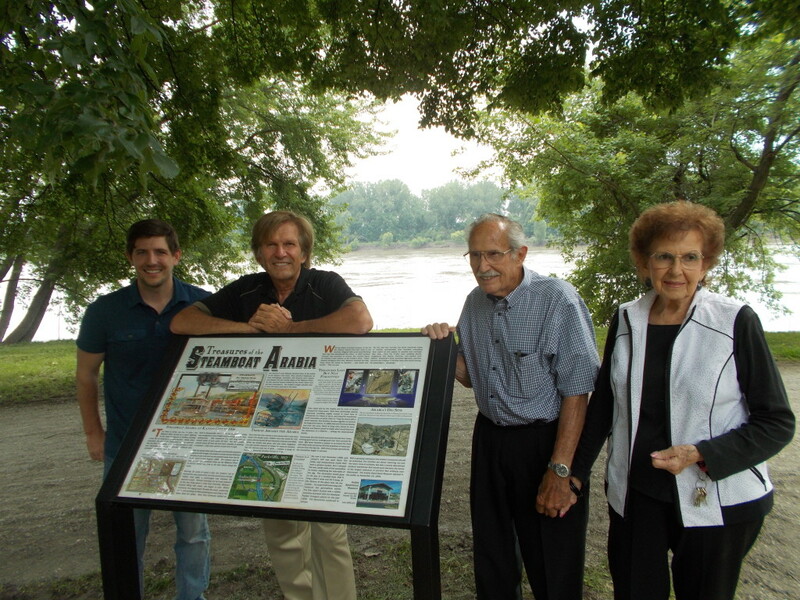 David Hawley and the Arabia Steamboat Museum family are excited to announce a new chapter in the story of the Steamboat Malta. The location of this fur-trading boat’s final resting place has been pinpointed after a three-year search. As summer crops cover the fields, it is not the best season for steamboat hunting. The search for the Malta continues, though, and any updates will be shared right here on Missouri Explorer. Meanwhile, the Steamboat Arabia recently received some new recognition. 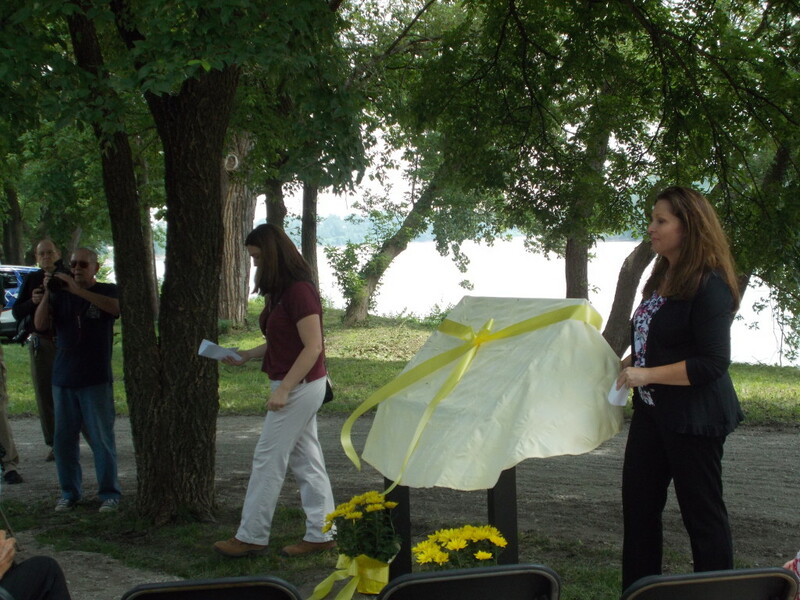 The City of Parkville, MO dedicated a permanent historical marker commemorating the site of the Arabia’s sinking. Now there is a scenic location for visitors to contemplate the Arabia’s final resting. We would like to thank Parkville Mayor Nan Johnston, Parks & Recreation Director Brian Nowotny, along with other city and Platte County officials who helped to make this vision a reality. When the Arabia sank in 1856, about eight miles upstream from Kansas City, the passengers were able to get to shore and spend the night in a hotel in Parkville. The marker’s location on the riverfront trail at English Landing Park is a reminder that steamboats were important to the founding and development of this historic community. English Landing Park will be on your left. Go east on the walking trail about 1/2 mile until you find the marker. Enjoy! Post pictures on the Arabia’s Facebook, Instagram, and Twitter pages. In the description, type #ArabiaKC. As the search for the Steamboat Malta continues, we will update this blog when new information comes to light. For now, we would like to share some of our research about the Malta’s role in the 19th-century fur-trading industry. The most exciting thing about the prospect of finding the Malta is that it may yield artifacts more than a decade older than those excavated from the Steamboat Arabia. When the Malta hit a snag and sank in 1841, it was carrying supplies for the American Fur Company, but the story actually begins decades earlier. 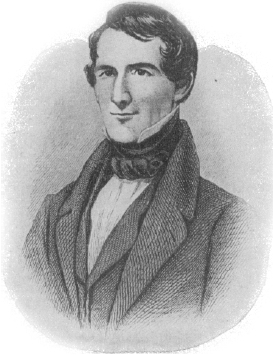 In 1821 the savvy owner of the American Fur Company, John Jacob Astor, contracted with a St. Louis company to supply his trade goods. Berthold & Chouteau was the name of this firm, based in St. Louis and owned by Bartholomew Berthold and Pierre Chouteau Jr. This is important because the Chouteau family included some of the earliest French settlers of Missouri, who were prolific traders. 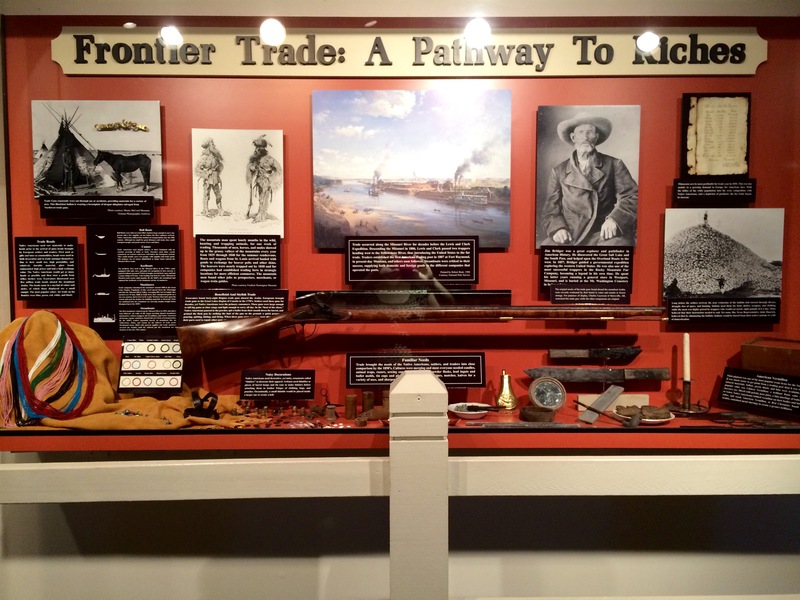 In fact, Pierre’s brother Rene Auguste Chouteau had established fur-trading outposts in present-day Oklahoma, while his half-brother Francois Chouteau took his trading operation to Kansas City, MO. After Astor joined forces with Berthold & Chouteau, he was able to undersell his opponents and effectively establish a fur-trading monopoly in the Great Plains. Pierre Chouteau Jr. was a Missouri supplier for the American Fur Company. 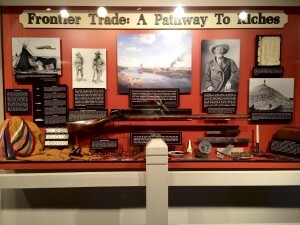 Interestingly, the fur trade was a global endeavor. American furs made their way to England and Germany, while many of the goods exchanged for the furs originated abroad. For example, the American Fur Company had a contract with a glass bead manufacturer in Venice. Steamboats would carry supplies and trade goods from the St. Louis warehouses to three western depots—Fort Union (present-day New Mexico), Fort Pierre (present-day South Dakota), and Fort Laramie (present-day Wyoming). At these locations, American Indians traded buffalo pelts that made a journey through St. Louis and then to points international. Although beaver trade had declined due to over-hunting by mid-century, bison robes reached their peak production. By 1850 the American Fur Company averaged 100,000 bison robes annually (up from 40,000 in the 1830s)! Obviously this expansion was not sustainable over the long term, and the fur trade was practically history by the 1860s. Changing fashions and the effects of westward expansion took their toll. If we are able to locate and excavate the Malta—and if her treasures are intact—she may give us new insights into the global fur-trading industry of the 19th century. The Steamboat Arabia carried international treasures in 1856, near the end of an era; we are interested to investigate the rise of a global trade by discovering an earlier cache of goods. A big “thank you” to Christa Dubill at 41 Action News for braving the cold and coming out to see the site where the search for the Malta continues. On August 8, 1841 the Steamboat Malta hit a tree snag and sank on the Missouri River while carrying supplies from St. Louis for the American Fur Company. It was said that “probably no boat ever went to the bottom so quickly on the river.” What secrets has the Malta held for 173 years? We intend to find out. We are very excited to announce a new chapter. 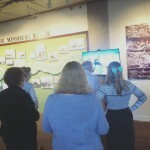 At the Arabia Steamboat Museum, visitors frequently ask us if we’re planning to dig another boat. Excavating the Arabia in the winter of 1988-1989 was a dream come true. We worked hard, getting up well before dawn to juggle the excavation with our family business, but we were motivated by the mystery of what artifacts would turn up next—fine china or leather boots, pickles or pie fillings, buttons or carpenters’ tools. 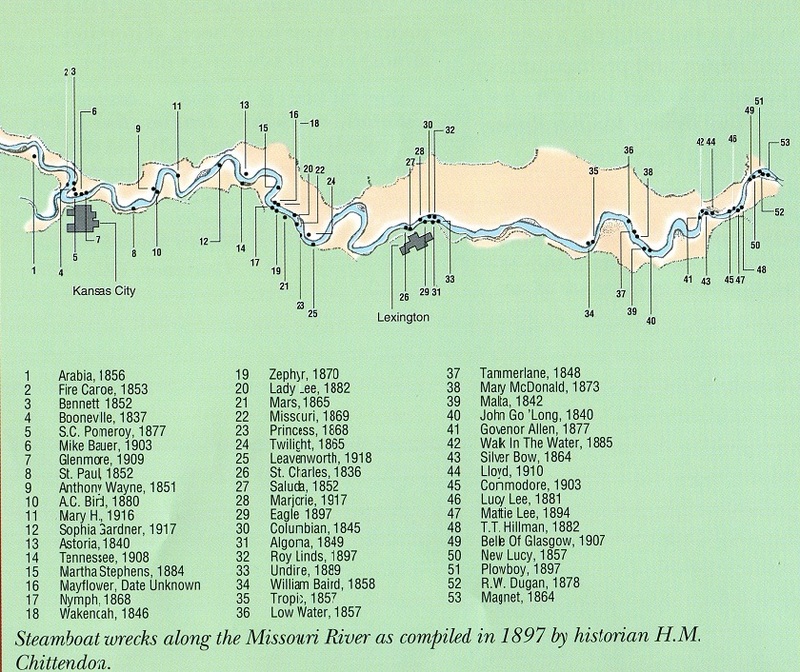 Two-hundred tons of cargo had been preserved in mud since the Arabia sank near Kansas City in 1856. Uncovering it was like Christmas morning every single day. And the best part was: we got to do it with our family and our friends. Of course, we’d love to dig another boat. 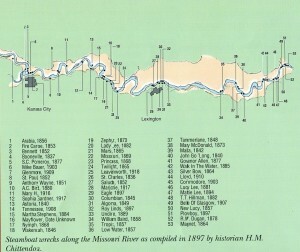 More than 300 steamboats sank on the Missouri River between 1819 and 1848. Because the river channel has significantly changed over the course of the 20th century, many boats are now buried under farm fields. We have located a total of 11 steamboats and are working to identify a good candidate for excavation. When searching for steamboats, we begin at the library; nineteenth-century newspapers provide valuable clues about the locations of sunken steamboats and whether they may contain cargo. 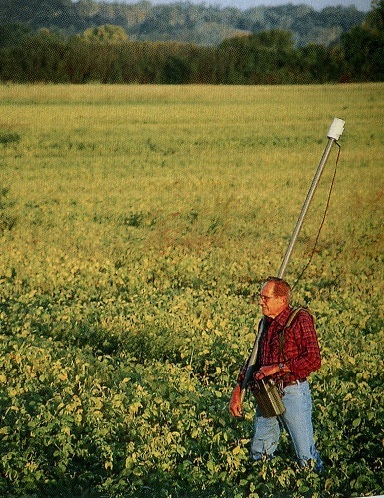 Next, we visit a field and utilize a metal detector called a magnetometer, along with GPS technology, to locate the boilers of the steamboat. Test drilling can determine the size and shape of the deck, as well as the presence of cargo. Many boats have already been salvaged; some are not good candidates for excavation (for example: we found one that we’d love to dig, but it’s under a levee). As soon as we find the right boat, we will keep you posted right here for details about the whole archaeological process. After all, sharing our discoveries is our favorite part.